There are many cloud storage services to choose but which one will be best for you? Below are a list of few Popular Cloud Services that you should prefer for personal usage. iCloud is the Cloud service which I use the most. It is built right into all Apple Devices. You can also use it via iCloud.com from a PC. iCloud works on a very simple yet powerful concept that is ,'iCloud stores your data, and wirelessly pushes them to all your devices.' iCloud works with contacts, calendar, mail, iWork apps, photos, Reminder and tons of apps from Apple's App Store. So if you make changes any file or buy an App or Music on any of your Apple device then it will automatically get synced to all other devices. iCloud works best on Apple device so for people using other device I would recommend to use other cloud service. iCloud Backup is free for 5GB but all other iCloud features are free. Specifically for Google fans, Google Drive is for you. Google Drive is a great tool with Google Products like Gmail and Google Docs. It also has the feature to create,edit, sync and share documents, spreadsheets and presentations. A group of people can work together at the same time on the same doc, and see changes as they appear. It offer 5GB of free storage and 1GB for Picasa. And the best of all it is available on almost all Operating Systems and can be also viewed from the web. The concept of these apps is that you store your data on the web and download them from anywhere when you need them. It offers 5GB for free data storage and further will be paid if you wish to extent the data storage . Cloud Computing is a convenient and easy-to-use storage solution. The Best Cloud Service for me is iCloud. 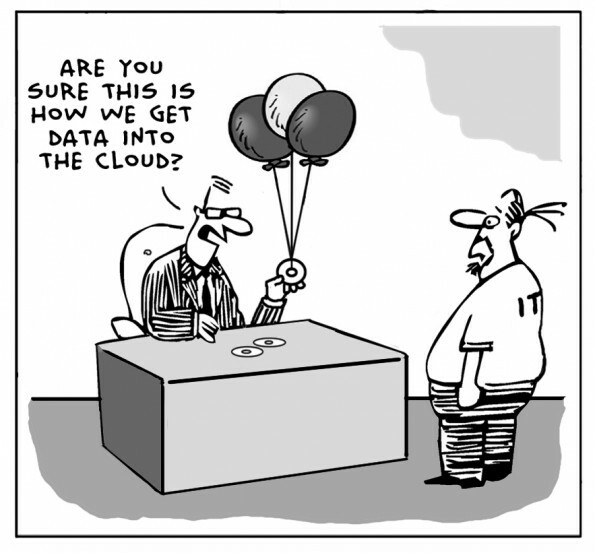 So which Cloud Computing Service are you using? And What do you think about them?